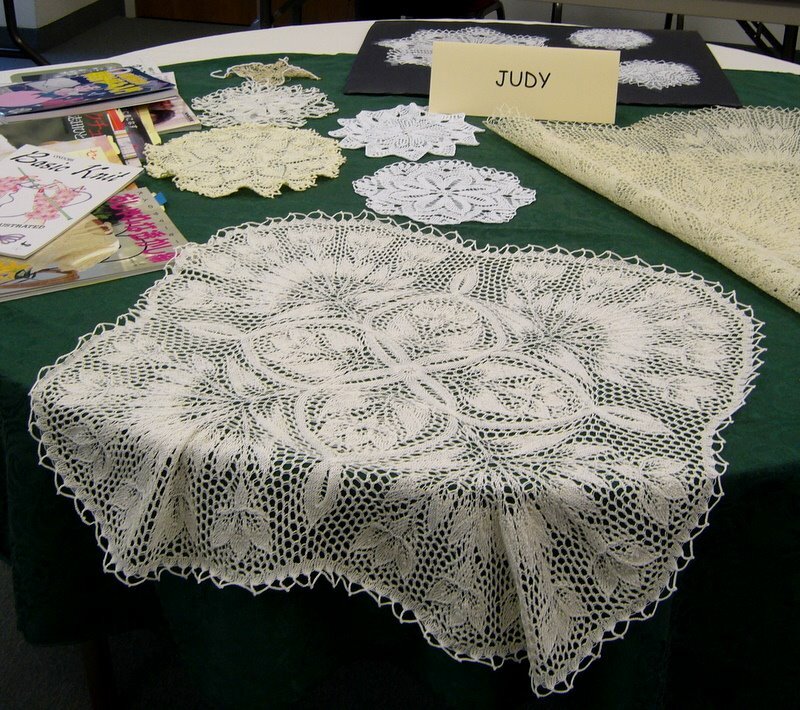 A week of lace knitting. With a group of talented knitters who will share their successes, knitting questions, tips and tricks. Does it get any better? That's what Myrna Stahman's lace knitting retreat is all about. 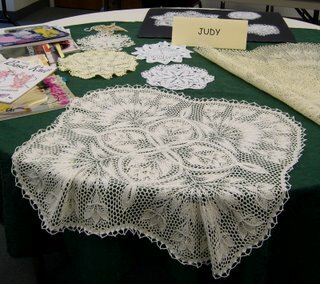 Donna Druchunas, author of the wonderful book "Arctic Lace," described her research into the Oomingmak lace knitting of native Alaskans and how she translated native designs and symbols into her own lace patterns. 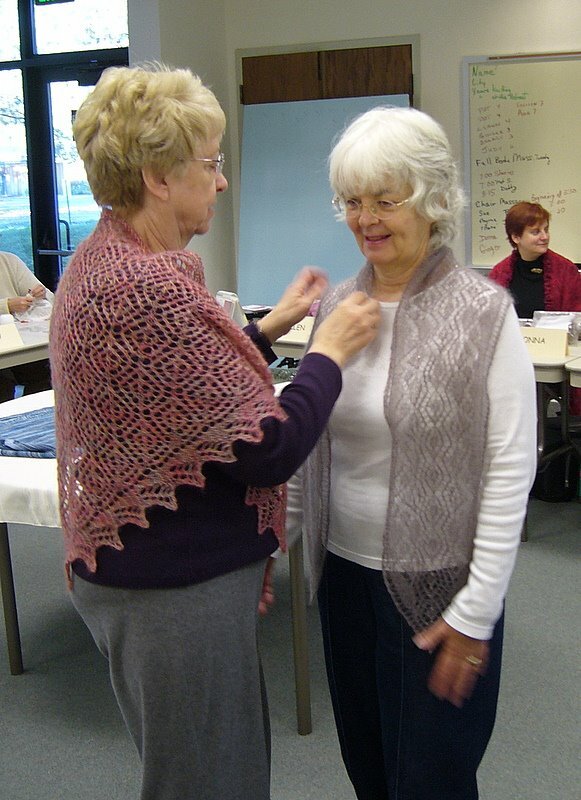 René Wells, a brilliant teacher, taught us Japanese knitting techniques and how to read Japanese patterns even if you can't read a word of Japanese. Some of the stitches are lovely, but the bobbles — no, I don't think so. 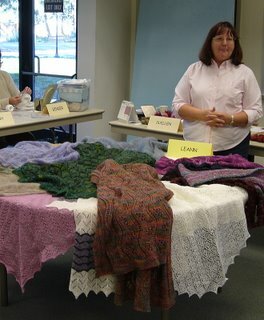 Myrna took us on a knitting tour of Shetland and Orkney, and showed us the stunningly beautiful knitting she acquired. Myrna gave us a brief tour of Albania through the socks she purchased on her visit to that country. 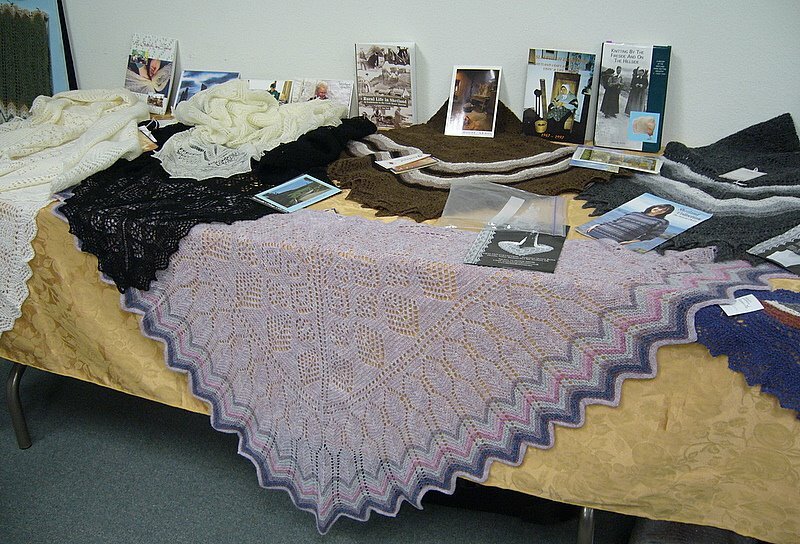 I showed the shawls I purchased in Lithuania and the gloves from Latvia, along with the Turkish slippers from my friend Ferdane. 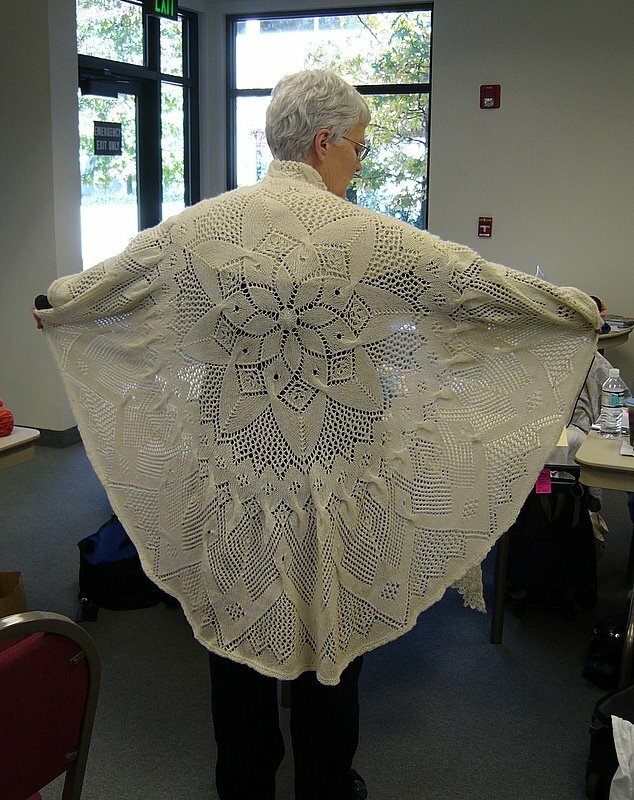 Retreat highlights are the show-and-share times when each knitter shares her work. 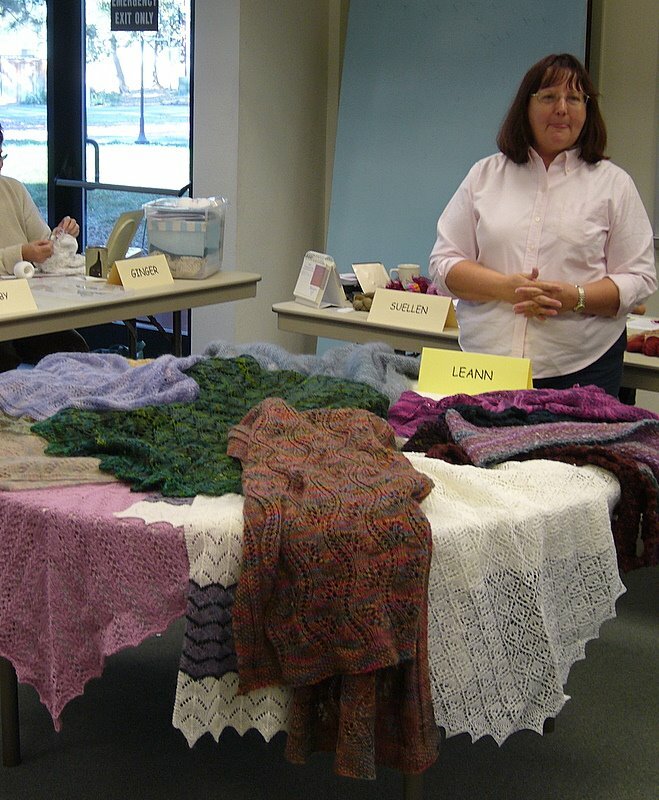 Below are just a few of the items knitters brought with them. Did I sign up for next year? Yes, yes, yes!